Although I think there must be something wrong with me as a parent that I am looking for candy that my child will eat. He isn’t happy, however, when I put them in a chocolate cookie. So does this make me a better parent for making sugar-laden treats that he has no desire to eat? Or an even worse mother for tempting him with something he likes, and then pulling the rug out from under him by enveloping it in the one thing he hates? Whisk together flour, cocoa, baking soda and salt. Set aside. With a mixer, cream butter and sugars together until smooth. Add in eggs, one at a time. Mix in vanilla extract until blended. Slowly add flour mixture to sugar mixture and mix until dough is smooth. 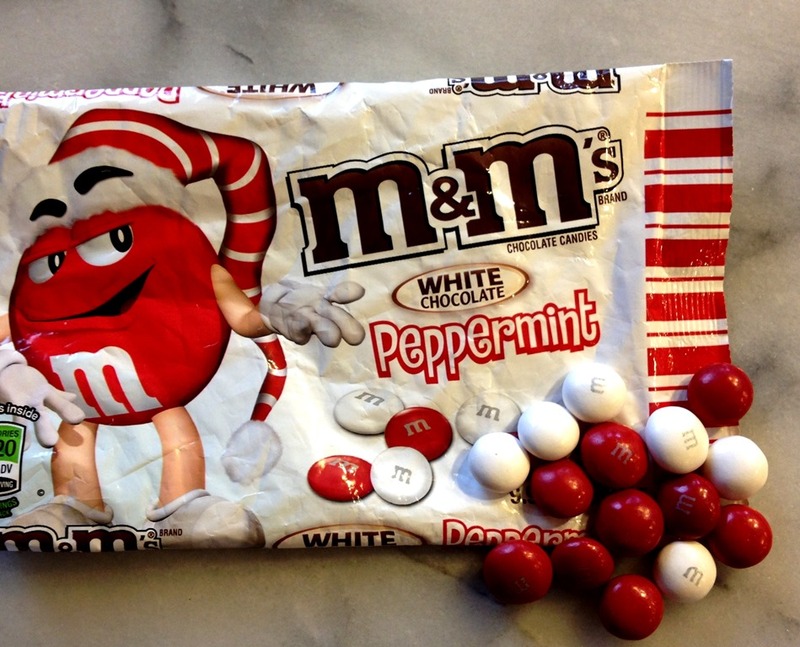 Gently mix in one bag of M&M’s. Drop by scant tablespoons onto baking sheets. 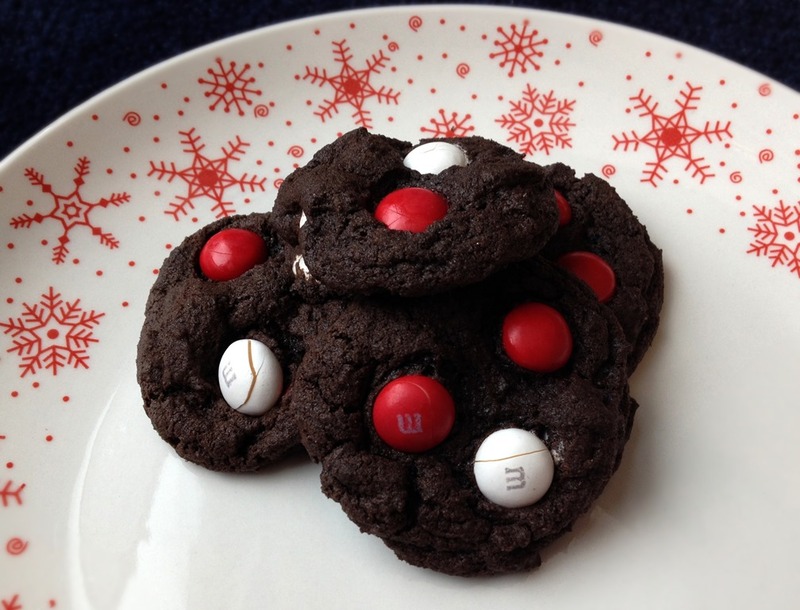 Press 2 or 3 M&M’s into the top of each cookie. 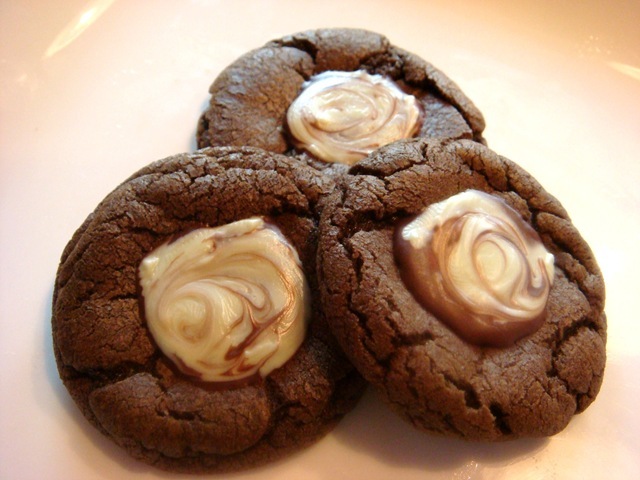 Bake at 350°F for 10-11 minutes, or until the cookies are set around the edges, but still soft in the center. Don’t over bake. Remove from oven and let sit on baking sheet for 2 minutes. Move to a cooling rack and cool completely. 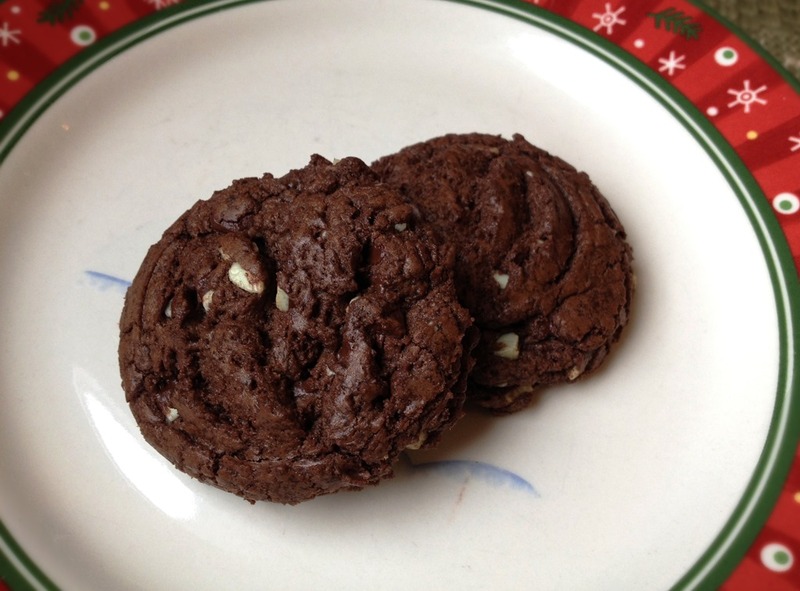 DAY 4: These cookies are for more of a grown up taste palate. They are not my kids’ favorite cookies, but Brian and I sure love them. 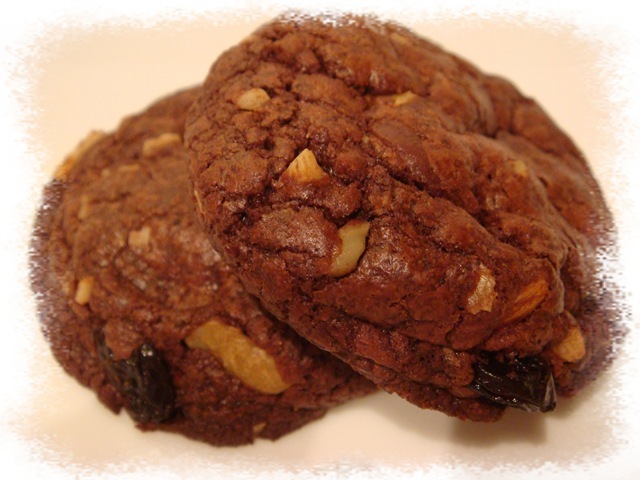 They are full of dark chocolate, nuts and dried cherries. I think I’ll keep telling the kids that they don’t like this kind of cookie! 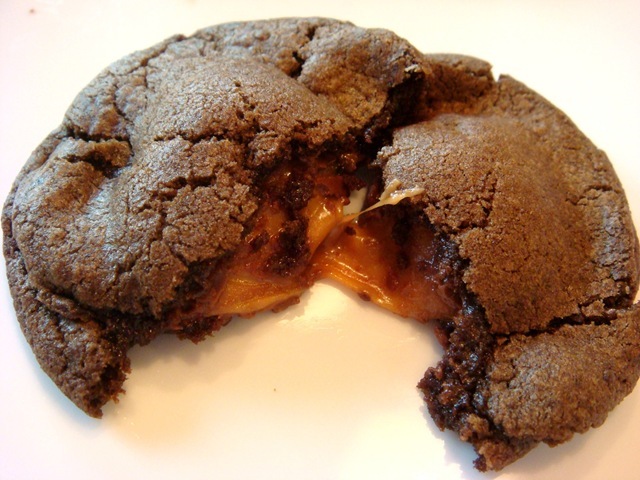 In a double boiler, melt 2 cups bittersweet chocolate with unsweetened chocolate. Cool. Mix flour, baking powder and salt. Set aside. With a mixer, beat butter and sugar. Beat in eggs and then melted chocolate. At low speed, beat in dry ingredients. Fold in nuts, cherries and remaining 1 cup bittersweet chocolate chips. Roll into balls and place on baking sheet. Bake 10-12 minutes, just until the tops are lightly cracked. Cool 2 minutes on baking sheet; remove to wire rack to cool.